Tonight I had dinner in Kraainem. First time ever. I had heard the name many times before, and now I know why I know the name, but not the town. It’s a small town near Brussels that is on the crossroads of the E40 highway from Leuven to Brussels and the Ring R0 around Brussels. Millions of people pass by every year, many of them see the signs, but almost no one ever gets to that town. I discovered a very good restaurant Maxime Colin tonight. The good news is that you meet there when you have a group from Antwerp, Ghent, Brussels, Leuven, … and still have parking near the main roads. The bad news is that there is always a lot of background noise. 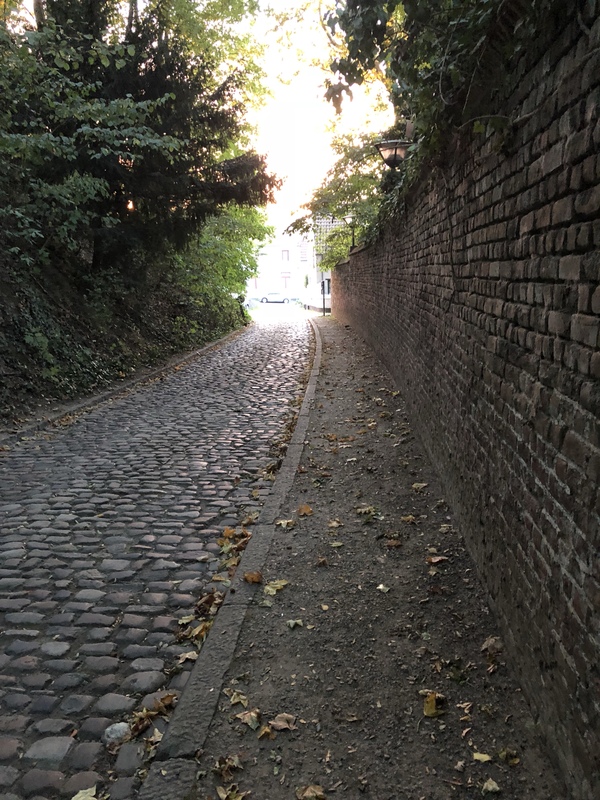 You would not say from the picture of the idyllic cobblestone street and the classic building on the other picture. It seems a quiet place, but there is a permanent and heavy background noise out there. Less than a kilometer away is the Ring around Brussels and the E40 highway. And Brussels airport (Zaventem) is not far away. The sound of that multi-modal crossroad is always there. And how. You cannot hide from it. My party was at the terrace of the restaurant, and sometimes we had to repeat our statements, because one of the participants could not hear what we were saying at the other side of the table. I presume some people get used to it, but I do not know whether I could live out there under the constant sound pressure of cars, trucks, and planes. Previous Could garbage trucks become more silent?